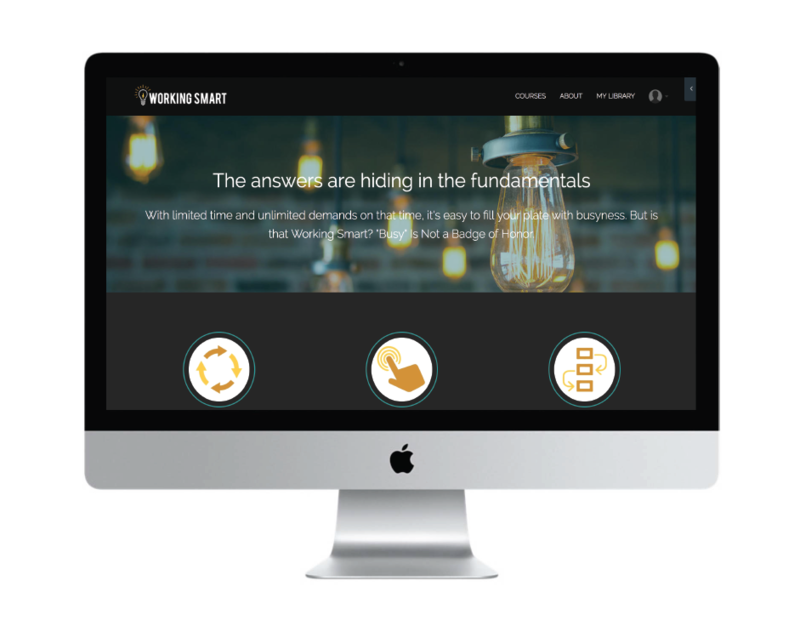 Working Smart is a digital learning and development library for entrepreneurs and small business owners wanting to develop their skills and patterns to grow their businesses. The mission is all about empowering people to think smarter vs. harder, and they needed a clean, extremely user-friendly interface to host a growing library of dense course material their students would work through, as well as a bank of graphics and images their in-house team could pull from when creating new courses and marketing materials. This was all about clear ideas, compelling stock imagery, and editable graphics which can keep adjusting as their course offerings do.